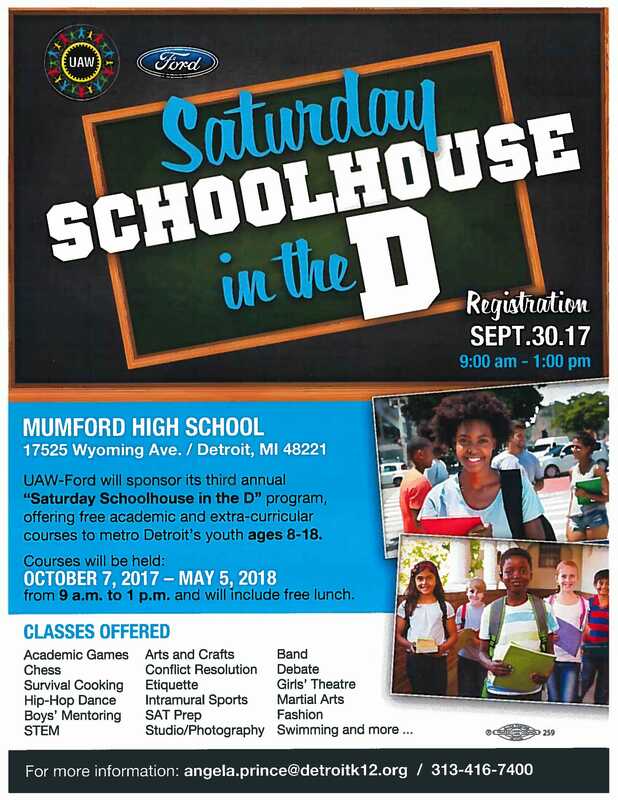 DPSCD students are invited to attend Saturday Schoolhouse in the D every Saturday from October 7, 2017 to May 5, 2018 at Mumford and Northwestern High Schools. 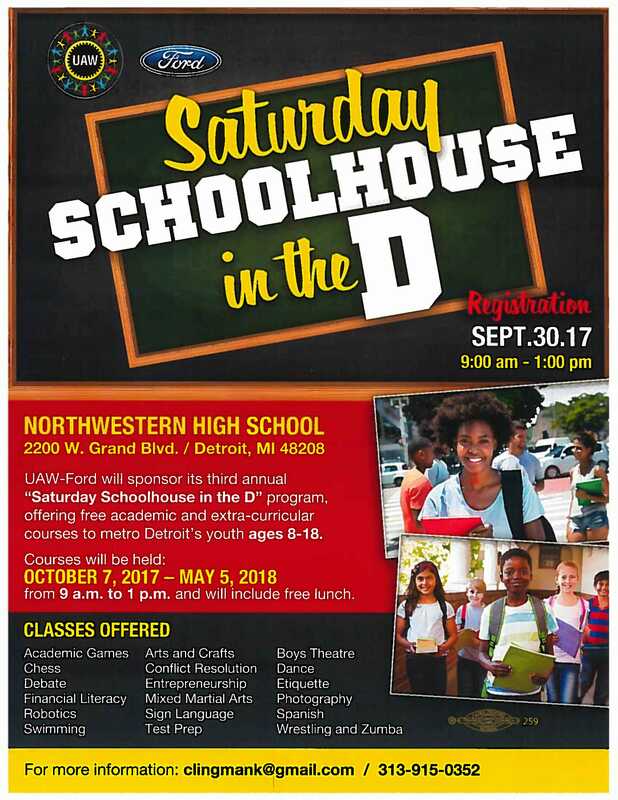 The program, sponsored by UAW-Ford, will offer free academic and extra-curricular courses to youth ages 8 – 18. The courses will be held from 9 a.m. – 1 p.m. and will include free lunch. This entry was posted in Info News Center, News and Press Releases and tagged 550, 551, 562.